Find all the Sustainable Missoula series from Missoula Current is HERE! Our Summer Smart news has a page of its own HERE - and there's a ton! Oct. 20. 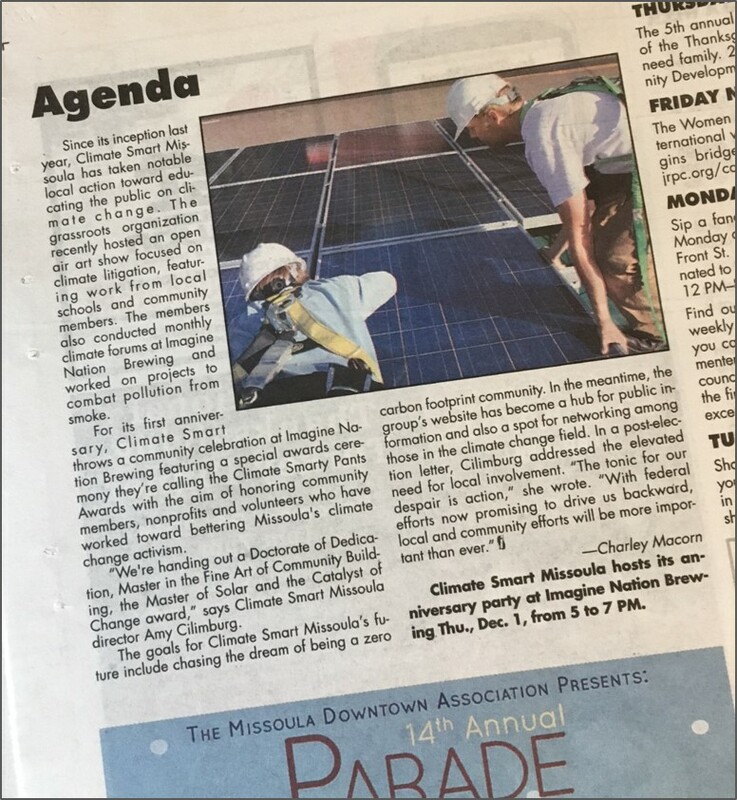 Missoulian: Renewable Energy Expo slated for Missoula Saturday: Mayor to speak. March 13. Missoulian: When Wildfire Smoke Invades, Who Should Pay to Clean Indoor Air? Feb 11. Missoulian op-ed: The Climes they are a-changing. Now what? We're partnering with Home ReSource on a new weekly "Sustainable Missoula" column at the Missoula Current. Washington Post: Montana residents are desperate for clean air, and they're calling me. Opinion by Air Quality Specialist Sarah Coefield. Missoula Current: Climate Smart Missoula awaits city-wide carbon study, gears up for second year. KPAX: Walk and Roll Missoula Week promotes health and clean air. What's more fun than free coffee and treats and celebrating active transportation? Hike the Divide: We spoke with Connor DeVane when he detoured through Missoula along his trek on the Continental Divide Trail. We're inspired by his efforts to bring attention to climate change solutions and honored to be included! 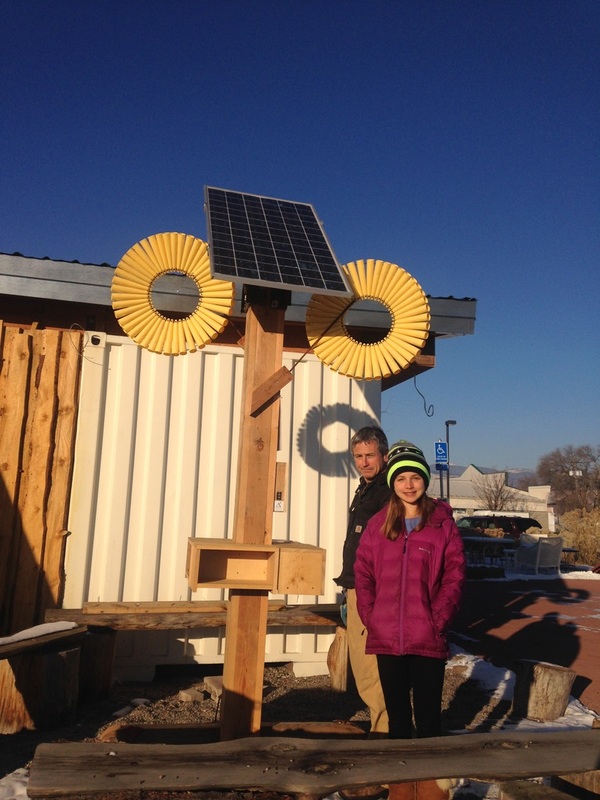 Missoula Independent: Reduce, reuse, reimagine. Check out the solar phone charger (photo, right) mentioned in this article. It's at MUD and Home ReSource and it works!